Make yourself at home in one of the 33 air-conditioned rooms featuring refrigerators. Complimentary wireless Internet access keeps you connected, and digital programming is available for your entertainment. Private bathrooms with shower/tub combinations feature complimentary toiletries and hair dryers. Conveniences include desks, as well as phones with free local calls. With a stay at LAX Stadium Inn - El Segundo/Inglewood in Inglewood (LAX Area), you'll be within a 15-minute drive of Los Angeles Forum and Hustler Casino. This hotel is 10 mi (16.1 km) from Venice Beach and 10.4 mi (16.8 km) from La Brea Tar Pits. 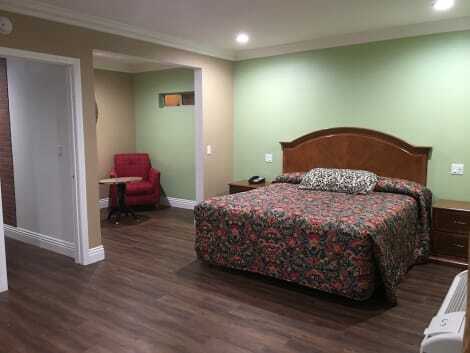 With a stay at Value Inn Worldwide LAX in Inglewood (LAX Area), you'll be within a 15-minute drive of Los Angeles Forum and Hustler Casino. 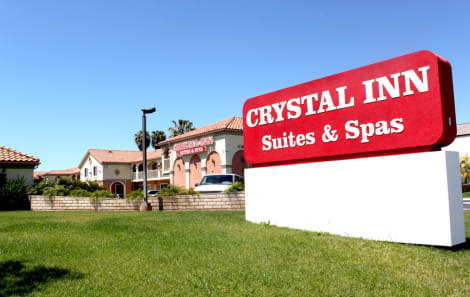 This hotel is 8.8 mi (14.1 km) from Venice Beach and 9.2 mi (14.9 km) from La Brea Tar Pits. Make yourself at home in one of the 40 air-conditioned rooms featuring refrigerators and flat-screen televisions. Complimentary wireless Internet access keeps you connected, and cable programming is available for your entertainment. Bathrooms have bathtubs and complimentary toiletries. Conveniences include microwaves and irons/ironing boards, and housekeeping is provided daily. Make yourself at home in one of the 36 air-conditioned rooms featuring refrigerators and microwaves. 40-inch LED televisions with cable programming provide entertainment, while complimentary wireless Internet access keeps you connected. Conveniences include complimentary weekday newspapers and separate sitting areas, and housekeeping is provided daily. Featured amenities include complimentary newspapers in the lobby, a 24-hour front desk, and multilingual staff. A roundtrip airport shuttle is complimentary during limited hours. lastminute.com has a fantastic range of hotels in Inglewood, with everything from cheap hotels to luxurious five star accommodation available. We like to live up to our last minute name so remember you can book any one of our excellent Inglewood hotels up until midnight and stay the same night.